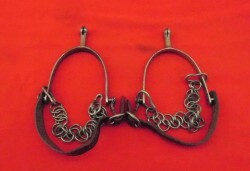 Pair of 19th Centyury handcuffs. Marked trower. 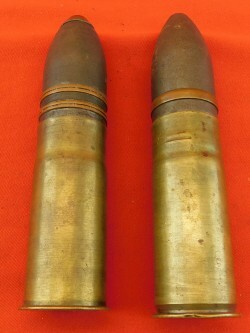 Keyed unit, iorn or soft steel construction appear to be English. overall length 10": sound condition. Canadian/USA helmet dated 61 built by CMC & Cross logo with CA/AC. 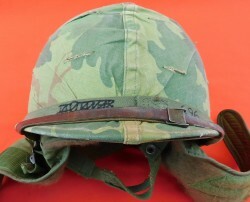 This is an uncommon helmet showing its' Woodland Camo cover; leather chin strap and a very uncommon insulated helmet liner. 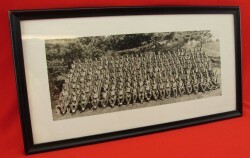 A neat piece of WW2 Canadian Militaria. This piece is a silver plate chafing dish with inscription. Engraved on the cover is RCNR Louisbourg Naval Base over CDV and Mrs. G.A. An interesting grouping of RCMP related material. 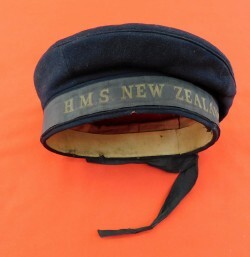 This group of items came from the estate of a former member, Arnold Lynds, from Belmont ,Nova Scotia who enlisted in the force circa early 1920's. Small lot of WW2 era items. 1. 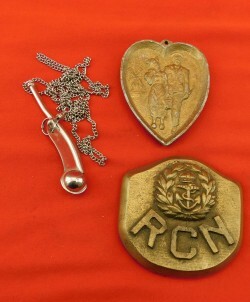 RCN brass paper weight, solid cast weight is 1.8 lbs. 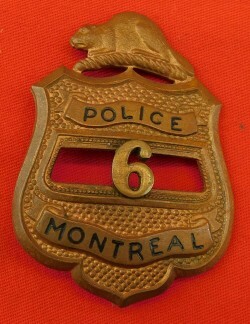 Beaver Mounted Montreal Police Badge # 6, enameled letters, original pin. Built and marked Scully Montreal. We realize that the Montreal Police badges were plated. 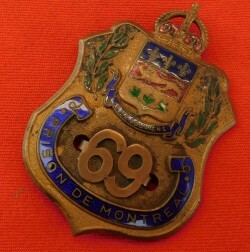 We consulted Mr.
Kings Crown enameled badge # 69 marked Prison De Montreal. The enamel rates excellent. 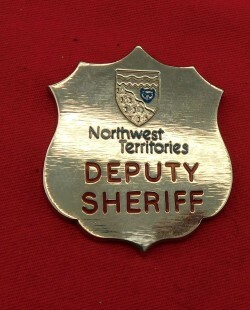 A steel/nickel plated Northwest Territories Deputy Sheriff Badge showing the earlier crest of the NWT, no makers mark with screw back. Excellent condition. 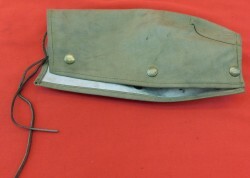 Lot of 3 original Canadian WW2, 1942 dated web ammo pouches. 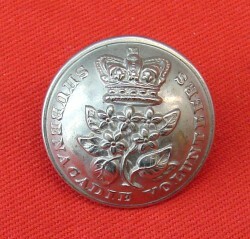 RCAF blue with Canadian C broad arrow on the reverse. All are in" as new" condition. 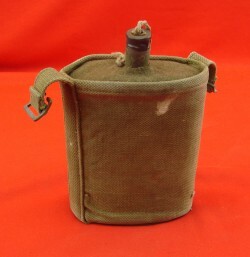 Standard canteen but mounted in a full web carrier. Complete but with some tape around the top of the stopper. A less common rig, with karki enamel on the canteen. A great modern 4 pounder cast in Ontario with a steel lined bore. This is a very attractive and well made cannon. 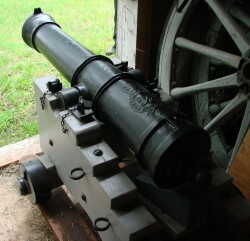 This piece is a reproduction of an English gun.